We have developed a high profile infrastructure, which is self reliant with all the required equipment, machinery and power back up that helps us in manufacturing high quality range of Handheld Terminal with Printer. Spread in an area of 3000 square feet our production unit is equipped with hi-tech machines and is diligently handled and operated by our team of expert and skilled technicians. We own a research and development unit, which is managed by adept researchers who ceaselessly focus towards research practices. Over the years, we have been able to upgrade our range of Handheld Terminal with Printer adopting sophisticated technologies and innovative measures. In this endeavor, we are helped by team of researchers who not only help us in comprehending the market dynamics but also keep us abreast of time and target our customers effectively. Our researchers work in close co-ordination with all the units especially the manufacturing and designing unit and facilitate us in meeting the demands and specifications of our esteemed clients. 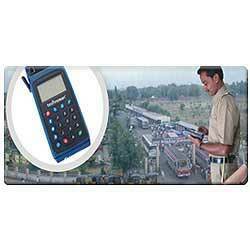 Proven product for Bus Ticketing in India, Srilanka & Bangladesh. Simple to use, Fast & Reliable with local language support. Long life Li-on Battery, Rechargeable, 40 Hrs of Operation. Generates tickets, Stage Wise / Trip Wise Collection reports, Day close collection / Expense reports. 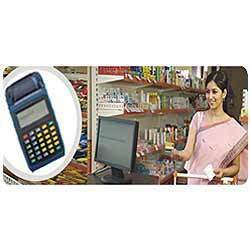 Communicate with PC software via USB or GPRS(optional). Portable machine useful for Restaurants, Canteens,Food stall, Petrol bunk, Retail stores, Fruit stall, Electrical / automobile / hardware shops, etc. Store 1500 items, Keep stock, Search item facility & communicate to PC. Easy to customize, Fast billing & multilevel reports. Flexibility of amount structures , Discount entries, etc. Model available without computer customization (store 999 items). No Computer, Self Customized Machine, Add / Modify / Delete, Company Details / Items, etc. 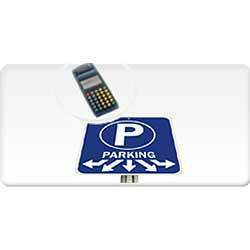 Customized to any application as Entry Ticket, Parking, Token, Bill, Estimate, etc Used for Parks, Gardens, Boat House, Parking lots, Shops, Hospitals, Cinema Theatres, etc. Generate Tickets, Item wise Reports, Shift wise Reports, Day wise reports and Accounts summary with Expense details.